Did you know death rates from Alzheimer’s have increased 55 percent in the last two decades? According to Dr. David Williams, many of these deaths come at home, since care facilities are becoming overwhelmed and are asking family members to act as caregivers. Luckily, a new study has found an easy way to try and ward off dementia: regularly drinking tea brewed from tea leaves. The study conducted in Singapore involved 957 Chinese seniors aged 55 and older. The researchers found that regular tea consumption cut the risk of cognitive decline by 50 percent. In those that are genetically at risk for developing Alzheimer’s, the risk was reduced by as much as 86 percent if the person was a regular tea drinker. The study found it doesn’t matter what type or brand of tea you buy, as long as it was brewed from green, black or oolong tea leaves. According to Dr. Williams, the bioactive compounds in tea, like catechins, theaflavins, thearubigins and L-theanine, provide the benefits for your mental health. The compounds exhibit antioxidant and anti-inflammatory properties that help prevent vascular and nerve damage. Dr. Williams says there are supplements that contain extracts of these compounds, so you could buy those in the store or online instead. This isn’t the first study to tout the health benefits of brewed tea. 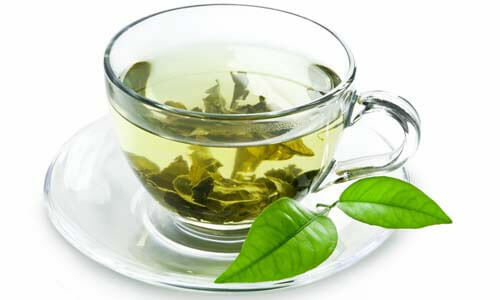 Studies conducted in 2012 and 2013 found tea can boost creativity and alertness and improve memory. Although tea bags or tea mixes might be quicker and easier, brew with tea leaves to see the most benefits. *Remember Joe is a J.D., not a M.D. If you have any questions, always consult with your physician.